Under the aegis of Dr O.P Bhalla Foundation, as a part of the community outreach programme, the English teachers of the school took over this humble initiative to spread knowledge by visiting the Government School in Mohna Village on Friday, November 16, 2018. 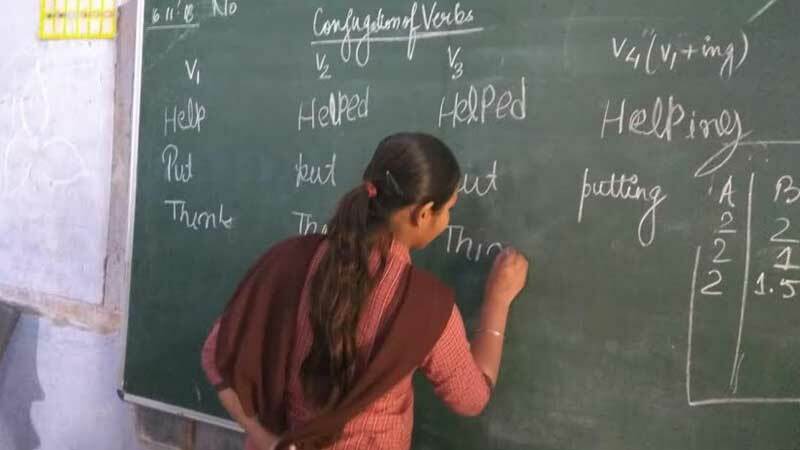 English Grammar classes were conducted by Ms. Himanshi and Ms. Shalini for Grades 8th and 9threspectively. An innovatively designed market scene was utilized to effectively bring out the uses of adjectives and demonstrate the types. Grade 9 girls were equally enthralled at having their doubts in Grammar cleared and concepts clearly dealt with. 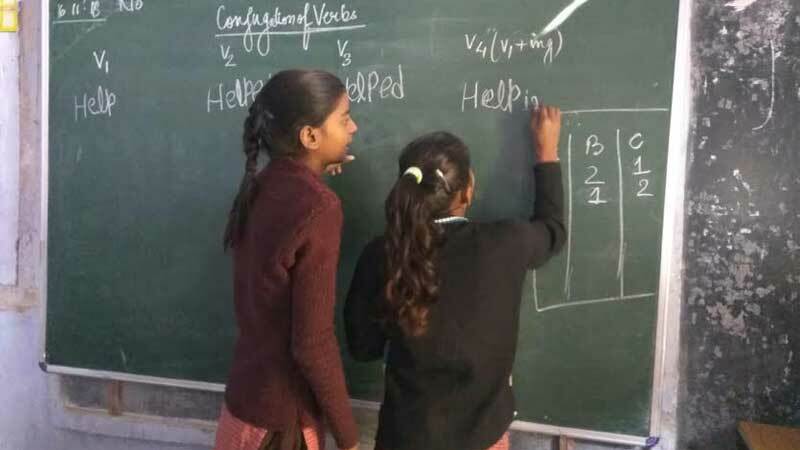 While the customized teaching methodologies proved beneficial for the insatiate minds, it was equally gratifying for the teachers to seek immense satisfaction in proliferating knowledge and imparting valuable perception. Humbled by their eagerness and insatiate desire to learn, the teachers bid adieu with a keen desire to continue this humanitarian effort.